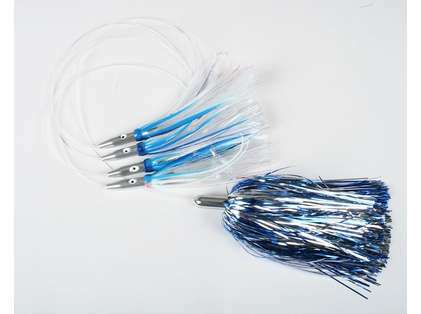 The Tormenter Mini Tuna Dart Chain is made with 4 Mini Tuna Darts and a trailing bone head. 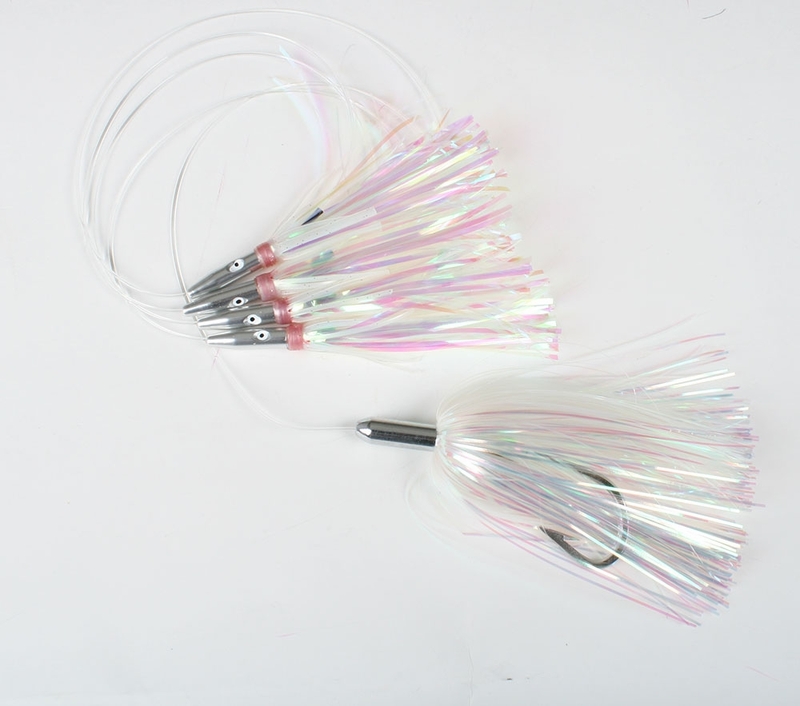 Perfect for fishing Dolphin, Tuna, or Billfish species. 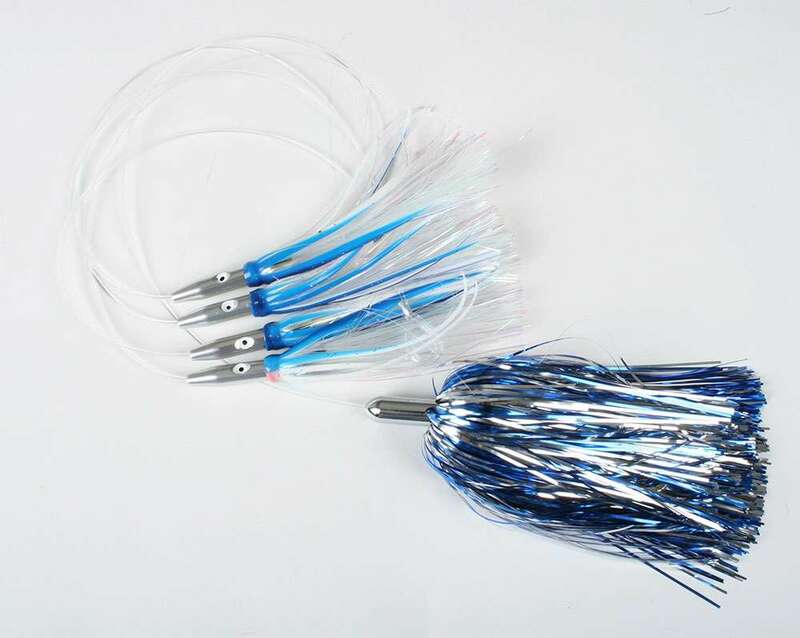 This chain is lightweight and low drag so you are able to troll with light tackle. It comes ready to use and with easy storage with premium Tormenter 10x10 lure bag.